If you are still looking for some holiday gifts that will pamper and relax your family and friends, look no further. We have some home spa gifts that will please a variety of people on your list. LATHER has an Ultimate Spa gift set, including Bamboo Crème Body Wash, Moisturizer, Lemongrass Body Scrub, and many other moisturizing goodies, along with a lemon vanilla candle and sponge. 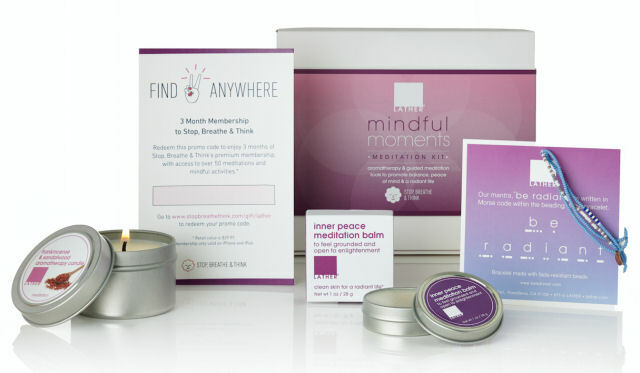 Another great gift is the Mindful Moments Meditation Kit, including a Frankincense and Sandalwood Candle, Meditation Balm, and a free trial membership to Stop, Breathe & Think, a meditation app. LATHER has become one of my favorite brands, especially because of its charitable programs, which include the Baobab Guardians Programme. Women in rural Venda, Africa, plant and care for Baobab trees, and receive financial rewards for doing so. LATHER products are pure and natural, and most are unisex, so men can feel comfortable using them. Holiday gifts from LATHER are welcome to anyone on your list this year. http://www.lather.com. 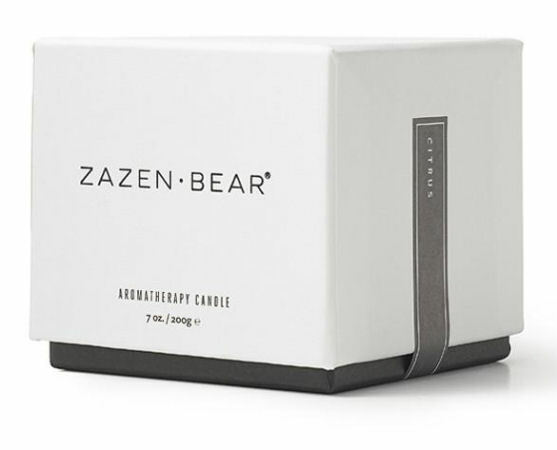 The Zazen Bear Aromatherapy Candle is a perfect gift of relaxation. Made of soy wax, and pure, essential oils, these candles have heavenly scents, including, Citrus, Lavender, Spearmint & Jasmine and Cedar Wood & Geranium. My favorite is Citrus, with a clean, mild fragrance. It is perfect for meditation or simply taking a bubble bath. The candle comes in the signature white holder with bear designs. http://www.zazenbear.com. 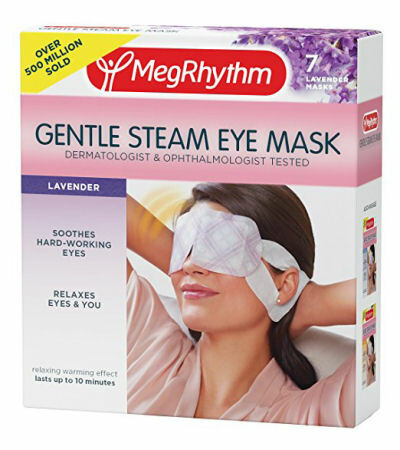 The Gentle Steam Eye Mask by MegRhythm, is nothing short of a slice of heaven. I am personally obsessed with these eye masks. Anyone who receives these unassuming little masks will thank you every time they put one on. I admit that I was prepared to be underwhelmed, but when I applied the mask to my tired eyes, the soothing warmth immediately enveloped my head. It was the most relaxing eye mask ever, and also helped alleviate my throbbing headache. Choose from lavender, citrus or unscented. http://www.amazon.com. The Adoratherapy Mood Boost and Chakra Boost Collections are ingenious little rollers and sprays that are packed with aromatherapy treatments for a variety of problems. Feeling tired? Try the Vitality Chakra Boost roller fragrance to energize your mind and body. If you need motivation to do your work, try Inspired, a mood boost spray with lavender, bergamot, lemon, chamomile peppermint and spearmint, to get the creative juices flowing. There are so many moods to choose from, that it’s hard to decide the best ones to give. Who doesn’t want to be Peaceful, Beautiful, Smart, Balanced, or have Joy? http://www.adoratherapy.com. For the men on your list, give the gift of a luxurious shave from The Art of Shaving, with Kingsman: The Golden Circle Bourbon Shave Collection. The collection, developed in collaboration with the film, “Kingsman: The Golden Circle“, includes a Bourbon Amber Pre-Shave Oil, Bourbon Amber Shaving Cream, and Bourbon Amber After-Shave Balm. Many men will not splurge on such a luxurious, face smoothing shave cream, but they will appreciate receiving compliments about their close shave. http://www.theartofshaving.com. The Lalicious Sugar Peppermint Sparkle & Shine Set with Extraordinary Whipped Sugar Scrub, along with Sugar Peppermint Hydrating Body Butter, makes a great holiday gift. If you have never tried a Lalicious Sugar Scrub, you are really depriving your skin of a smooth and velvet feel that needs no additional moisturizer to glow. I love these scrubs, and how they continue to moisturize your skin even after rinsing off and drying. 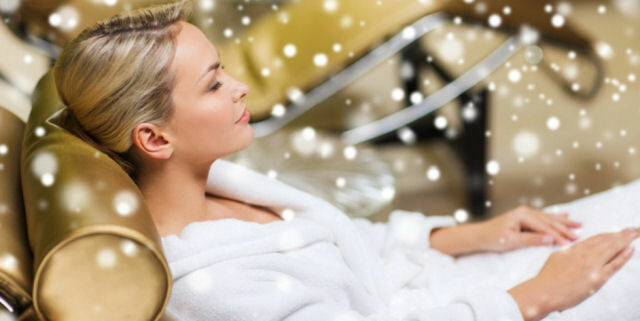 Give the gift of smooth, silky skin this year. http://www.lalicious.com. Gifts of wellness are always a hit, especially when they help you feel revitalized and refreshed after too much holiday cheer. 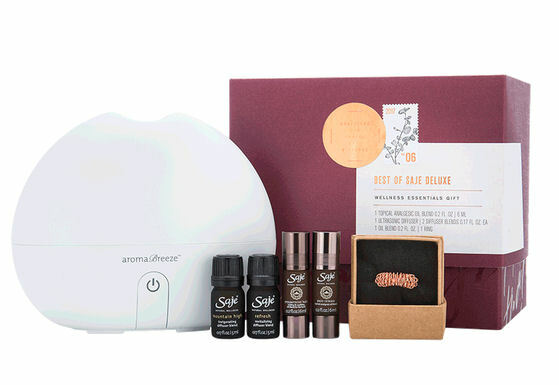 The Saje Wellness Essentials Gift Set includes an ultrasonic diffuser, and several essential oil blends to help what ails you, including Refresh, Mountain High, Peppermint Halo and Pain Relief blends. I really love the Peppermint Halo blend that helps revive and refresh me during a slow mid-afternoon slump. http://www.saje.com. 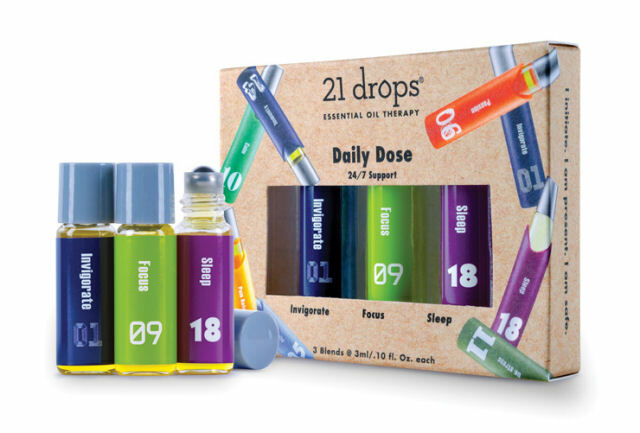 Another gift that will be used throughout the year is the 21 Drops Daily Dose essential oil therapy set. 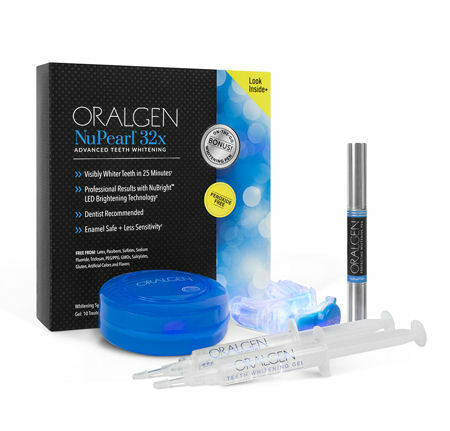 It contains small roll on blends to help Invigorate, Focus and Sleep. 21 Drops uses only 100% natural, organically grown essential oils that extremely fragrant and potent. Just roll on the blend of your choice, or select one of the diffusing oils for an aroma therapeutic experience. The Sleep drops work wonders if you have trouble falling asleep and want to relax. http://www.21drops.com.